The Foster + Partners’ design philosophy is based on the belief that the quality of our surroundings has a direct influence on the quality of our lives. 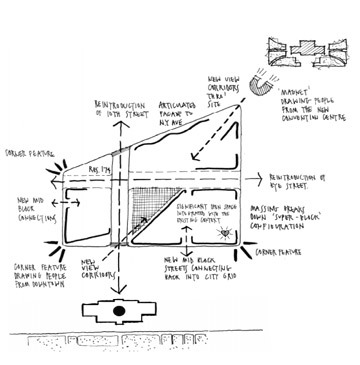 Major design considerations for Foster + Partners include the principle that abundant light, space and air vastly improve the quality of urban life. Light -- Each unit has floor to ceiling glass designed to allow light to diffuse deep into the residence. Solar shades also help to control the amount of light in the residence without obstructing views from the windows. Space -- The circulation was designed to consider how a resident lives and moves through the home, with multiple paths between rooms leading to an overall connectedness within the open layout. Air -- Every home has at least one 6 feet wide sliding door, that opens to invite fresh air inside. All residences feature a balcony, Juliet balcony, or terrace to provide access to outdoor space. Amenities -- Residents of CityCenter enjoy a vast array of amenities designed by Foster + Partners including a fitness center, spa treatment room, wine cellar & tasting room, conference room, lounges with catering kitchens, private parking, and an extensive roof park with a water feature, outdoor kitchens, an outdoor dining room, picnic sections, a fire-pit, and sundeck. CityCenterDC received a Gold designation in the pilot program for LEED Neighborhood Development (LEED-ND). The LEED Neighborhood Development is the first national system for neighborhood design, which recognizes smart growth, urbanism and green building. Quality of life, not only for residents, but for the surrounding area and the environment as a whole, guided the project’s design. 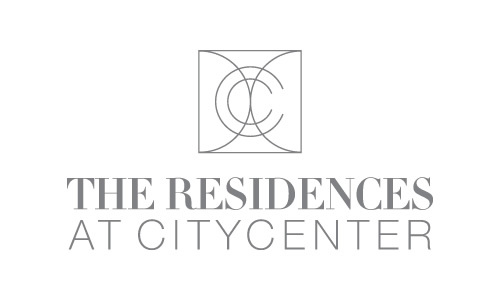 The Residences at CityCenter achieved at least a LEED Silver rating, with consideration for sustainability, water efficiency, energy and atmosphere, materials and resources, and indoor environmental quality. Buyers will find Energy Star appliances, windows that minimize solar heat gain to keep energy use down and maintain cooler temperatures, and a reclaimed-water system that captures water to reuse for landscape irrigation and the building’s central plant. CityCenterDC, a 10-acre site in the heart of Washington, and one of the largest downtown projects in the nation, is an urban center mixing commercial, retail, and residential uses. The landscape and streetscape design features a diverse network of new public open spaces containing pedestrian alleys, neighborhood streets, plazas, and a neighborhood park. At the upper levels, the new buildings incorporate multiple landscaped terraces and green roofs. The project reintroduces the original street grid of Washington's L'Enfant plan as a framework for a pedestrian-oriented, vibrant mixed-use neighborhood that connects with the surrounding city fabric and continues the revitalization of this sector of the city. The masterplan reintroduces 10th and I Streets into the city grid as part of a network of public open spaces designed to knit the site into the larger urban scape and capitalize on the burgeoning vibrancy of the area. The design transforms a large area once underutilized land in Downtown DC into a bustling and exciting community, with a series of differently scaled public open spaces. The Central Plaza is designed as a social space to relax, meet friends, and take in an open-air concert. Leading into the Central Plaza is a network of shopping oriented pedestrian alleys that subdivide the site and create an alternative, more intimate scale that helps to give the project a distinctive neighborhood character. Rooting CityCenterDC in the fabric of the DC streetscape is a driving factor. Landscape design, building materials, and upholding LEED standards all contribute to the overall quality. "In addition to creating a major new residential and retail hub, CityCenterDC will create a pedestrian-friendly neighborhood with a park and walkways, and is expected to emerge as a new destination in Downtown DC," says Kathryn Gustafson, lead designer and partner at GGN. "We are thrilled to be part of such an esteemed team of designers." Gustafson Guthrie Nichol 's expertise lies in creating a vibrant atmosphere where people feel comfortable and enlivened. Accessible, healthy, and sculptural outdoor spaces are made to feel serenely grounded within the surroundings. Pleasant to experience whether bustling with crowds or providing a quiet moment of contemplation. Previous projects include the Lurie Garden at Millennium Park in Chicago, Boston's North End Parks, and Washington DC’s own Robert and Arlene Kogod Courtyard at the Smithsonian American Art Museum and National Portrait Gallery. 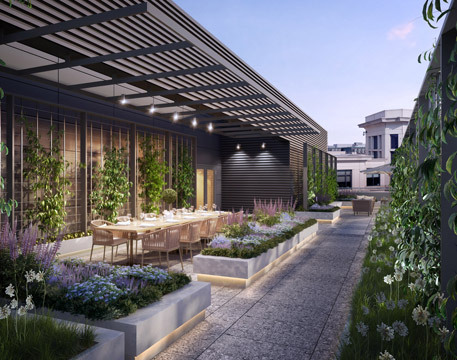 One of the defining features of The Residences at CityCenter is its integration with the outdoors. Gustafson Guthrie Nichol's landscape design sculpts the rooftops of The Residences into an intimate "outdoor living room,” with comforts and amenities that create a multifaceted oasis within the city. Inspired water features and greenery rejuvenate the senses, with views of Downtown DC and beyond serving as the backdrop. A firepit, outdoor barbecues, multiple kitchens, and varied styles of private seating and lounge areas accommodate any need in this extensive outdoor roof park. The residential terraces of CityCenter are created as a personal portal to the outside world, acting as an extension of one's home directly into a sculpted urban environment. Gustafson Guthrie Nichol’s distinctive landscape design furnishes an innovative outdoor experience, in both the private residences and the community as a whole, with wellness and an improved quality of life as the focus of their design. CityCenterDC was recognized in July for its sustainability features, winning the U.S. Green Building Council National Capital Region's (USGBC-NCR) Award for Project of the Year: Neighborhood Development Award, presented to Clark/Smoot, A Joint Venture. The 10-acre mixed-use project, located in Downtown DC (825 lOth Street NW), was honored as one of six LEED projects in the region that exemplify green building practices and principles. All of CityCenterDC's buildings were designed to achieve LEED certification, and the entire project received LEED for Neighborhood Development Gold certification in 2014. CityCenterDC was recognized for its significant impact upon the surrounding community where its mix of new retail and restaurants and outdoor amenities have created a new destination in Downtown DC. Additionally, its residential components have attracted a new wave of residential interest in downtown living. CityCenterDC's sense of community was achieved by building multiple sustainability elements including green roofs on every building, a comprehensive resident recycling program, LID storm water management system, rain water cisterns, bamboo apartment flooring, cumaru wood on condominium terraces and the incorporation of native and adaptive plants. Winners of the 2015 USGBC-NCR awards were announced at the organization's 13th annual A Midsummer Night's Green event on July 16. There, two BID stakeholders also received USGBC_NCR awards for Members of the Year: Marissa Mitzner of SOMA International and co-chair of the Emerging Professionals; and Lid a Lewis of OTJ Architects, co-chair of the Greenbuild Tours Committee. The Midsummer Night's Green event also promoted the upcoming Greenbuild International Conference and Expo, hosted Nov. 18-20 in the Downtown DC ecoDistrict at the Walter E. Washington Convention Center (801 Mount Vernon Place NW). The entire 138-block area of the Downtown DC Business Improvement District (BID) in 2011 was designated by the BID as an ecoDistrict as part of an effort to enhance living, working and visiting Downtown and offer a boost to business and property owners.